FAA, FAHA, FTSE, FASSA. 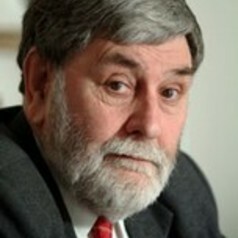 Member, Australian Parliament 1977-98, Minister for Science 1983-90. Australian Representative, UNESCO, Paris 1991-95. Author of Sleepers, Wake! Technology and the Future of Work (1982), Dictionary of World Biography (1996), A Thinking Reed - autobiography (2006). He was the first Australian politician to draw attention to the ICT Revolution, biotechnology, climate change/global warming, population growth and sustainability, social responses to an ageing population (The Third Age). Only person elected as Fellow of all four of Australia's learned Academies.